Salary: Commensurate with experience. Medical/dental benefits and RRSP plan available. Job Description: Mercury is looking for exceptional artists to join our 2D Character & Prop Build Team. These talented individuals will perfect rough designs for high-profile animated children’s television shows and will also rig characters and props, ensuring all elements of the animation are flawless from all rotation views and ready for animation. Exceptional drafting skills specifically with digital drawing. Strong grasp of character anatomy. Able to take direction and work as part of an integral team. Experience using Toon Boom Harmony is considered an asset. All applicants must live in Canada and be willing to complete a proficiency test. 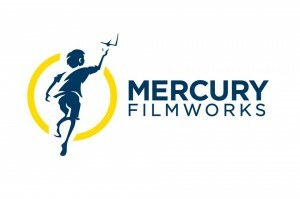 To apply: Send an email to jobs@mercuryfilmworks.com with a link to your online portfolio, demo reel and resume for review and consideration. Please reference code: CPBA-0314 in the subject line of your email. This entry was posted on Wednesday, June 18th, 2014 at 11:57 am	and is filed under Jobs. You can follow any responses to this entry through the RSS 2.0 feed.